Nougats There are 3 products. 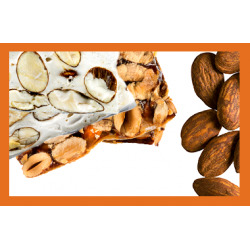 Made with lavender honey harvested on the slopes of Mont Ventoux and almonds from Provence, our smooth, raised and very tender white nougat is produced according to artisanal methods in Sault en Provence. Its recipe has not changed since its origins in 1887. 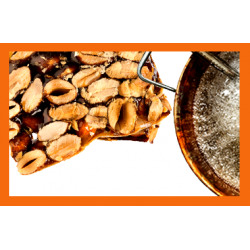 That subtle, delicately caramelised roasted almond crunch, blended with the silkiness of lavender honey. 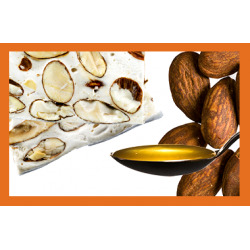 An assortment of individually-wrapped candies of tender white nougat and crunchy black nougat.